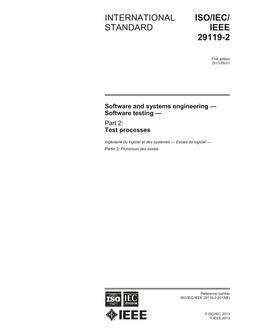 This standard describes a set of basic test documents which are associated with the dynamic aspects of software testing (that is, the execution of procedures and code). The standard defines the purpose, outline, and content of each basic document. While the documents described in the standard focus on dynamic testing, several of them may be applicable to other testing activities (for example, the test plan and test incident report may be used for design and code reviews). The standard may be applied to commercial, scientific, or military software which runs on any digital computer. Applicability is not restricted by the size, complexity, or criticality of the software. However, the standard does not specify any class of software to which it must be applied. The standard addresses the documentation of both initial development testing and the testing of subsequent software releases. For a particular software release, it may be applied to all phases of testing from module testing through user acceptance. However, since all of the basic test documents may not be useful in each test phase, the particular documents to be used in a phase are not specified. Each organization using the standard will need to specify the classes of software to which it applies and the specific documents required for a particular test phase. The standard does not call for specific testing methodologies, approaches, techniques, facilities, or tools, and does not specify the documentation of their use. Additional test documentation may be required (for example, code inspection checklists and reports). The standard also does not imply or impose specific methodologies for documentation control, configuration management, or quality assurance. Additional documentation (for example, a quality assurance plan) may be needed depending on the particular methodologies used. 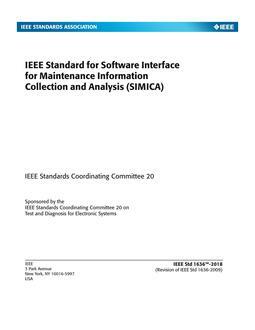 New IEEE Standard - Superseded. A set of basic test documents that are associated with the dynamic aspects of software testing (that is, the execution of procedures and code) is described. The purpose, outline, and content of each basic document are defined. Although the documents described in the standard focus on dynamic testing, several of them may be applicable to other testing activities. Documentation on electronic media as well as paper is covered. The standard does not call for specific testing methodologies, approaches, techniques, facilities, or tools, and does not specify the documentation of their use. It also does not imply or impose specific methodologies for documentation control, configuration management, or quality assurance.